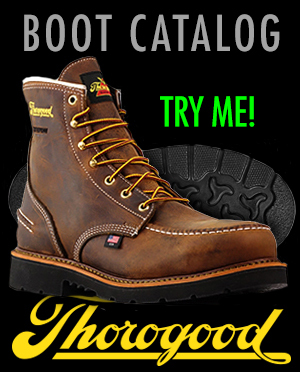 TheBootPros LLC dba www.theunionbootpro.com, the seller, warrants only that the footwear product will be free from defects in workmanship or materials for forty-five (45) days, beginning on the date of purchase. Should a failure to conform to this warranty appear within forty-five (45) days, beginning on the date of purchase, TheBootPros LLC will (upon receipt of the defective footwear product, the original box and the original packing list from buyer) correct the nonconformity at the request of the customer by either: 1) reimbursing the purchase price per return policies. or 2) replacing footwear product with a replacement in the same style, size and width. The seller reserves the right to reject any claim of a defect in workmanship or material if it is determined, as a result of inspection by representatives of the Weinbrenner Shoe Company, the manufacturer, that the reported defect is a result of misuse by customer and/or normal "wear and tear" experienced by the footwear product under a variety of work applications or environments. THIS WARRANTY DOES NOT COVER IMPLIED DEFECTS RESULTING FROM THE USE OF THE FOOTWEAR PRODUCT IN ANY PARTICULAR APPLICATION OR ENVIRONMENT. THIS WARRANTY IS IN LIEU OF ALL WARRANTIES OF MERCHANTABILITY, FITNESS FOR A PARTICULAR PURPOSE, AND ALL OTHER WARRANTIES, EXPRESSED OR IMPLIED, AND SELLER MAKES NO WARRANTY THAT THE PRODUCT SHALL BE MERCHANTABLE OR THAT THE PRODUCT SHALL BE FIT FOR ANY PARTICULAR PURPOSE. Correction of nonconformities, in manner and for the period of time provided above, shall constitute fulfillment of all liabilities of seller to buyer, whether based on contract, negligence, or otherwise with respect to, or arising out of, TheUnionBootPro.com. Neither party shall be liable for special, indirect, or consequential damages. The remedies set forth on this warranty are exclusive: and the liability of seller with respect to any contract or sale or anything done in connection therewith, whether in contract, in tort, under any warranty, or otherwise, shall not, except as expressly provided herein, exceed the price of the product on which such liability is based. WHEN IT'S NOT A BOOT DEFECT: Causes for uneven boot wear.